Almost everyone will have someone in their tree that fought during the First World War (Or Great War). Naturally people we love finding these ancestors as it tends to fill us with a massive sense of national pride. Especially on Remembrance Day in the United Kingdom. Finding more out about these ancestors can be challenging but if you know the right places to look you can get a lot of information if you’re lucky. The first place you will want to look is either on a paid service such as Ancestry or FindMyPast for their service records or directly in the National Archives First World War ‘Burnt Documents’ collection. Unfortunately approximately two thirds of these were destroyed or damaged during the Blitz in World War Two. If you are lucky enough to find their service records then it can be an absolute gold mine with regards to information about family as well as where they were stationed and what campaigns they were involved in. If you haven’t had much luck with Service Records another place you can look is the Soldiers’ Documents from Pension Claims Collection at the National Archives. This is a particularly good source if your ancestor was injured during the First World War. 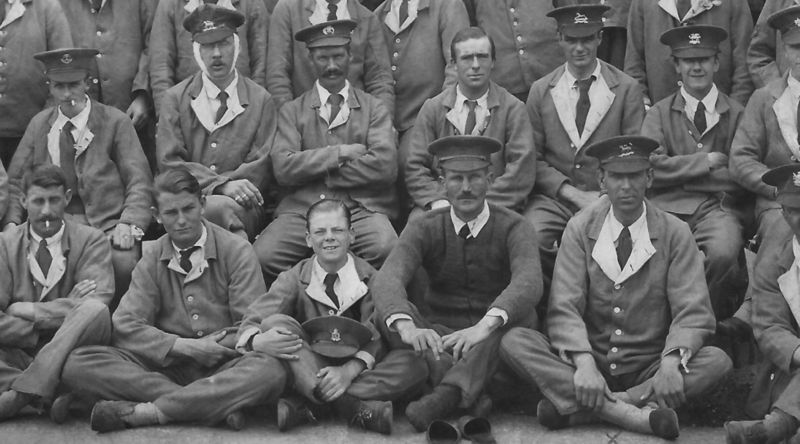 The collection consists of microfilm copies of service records of non-commissioned officers and other ranks who were discharged from the Army and claimed disability pensions for war service between 1914 and 1920 and did not re-enlist prior to the outbreak of the Second World War. The records are unlikely to contain information on individuals who did not claim a war pension. This collection contains microfiche copies produced at the Army Medal Office, Droitwich, of that office’s alphabetical card indexes to recipients of the Distinguished Conduct Medal, the Military Medal, the 1914 Star (also known as the Mons Star), the 1914-1915 Star, the British War Medal, the Allied Victory Medal, the Meritorious Service Medal, the Silver War Badge for Services Rendered, the Territorial Force War Medal and the Allied Subjects Medal. Also included are indexes to mentions in dispatches and women’s services’ awards. On the subject of Injured ancestors, The Silver War Badge is one that might help if they were discharged due to their injuries. The Silver War Badge for Services Rendered was authorised on 12 September 1916 for officers and men of HM Forces who had been retired or discharged on account of wounds or sickness caused by war service, at home or abroad from 4 August 1914. The regulations were extended on several later dates to include wider categories, including women. The Commonwealth War Graves Commission is a great website if you want to know about an ancestor that died during a war. It has an easy to use search feature and is completely free to use. The results you get can list family members as well as the usual name and rank. It also contains civilian deaths, so a lot of people who died during the Blitz for example can be found in this database. If you know the regiment your ancestor served in then The Long Long Trail can tell you a lot about what they did and which battles and campaigns they were involved in. While it is rare unless you have a particularly prominent ancestor such as a high ranking officer then you wont find much on individuals on this site. It does help paint a picture of what you ancestor might have experienced though. Your ancestor might have been a prisoner of war, in which case the Red Cross has a database dedicated to the soldiers that were held captive. It is fully searchable and the potential information available includes: The Reference number of the original letter sent by the family, First and Last name, Service Number, Missing circumstances and The address of the family. Whilst it isn’t a very large database comparatively, it still might be of use. Almost everyone will have someone in their tree that fought during the First World War (Or Great War). Naturally people we love finding these ancestors as it tends to fill us with a massive sense of national pride.